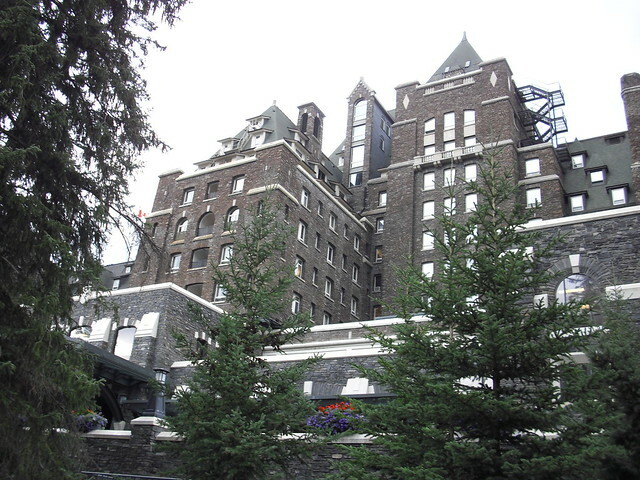 A former Canadian Pacific Railway hotel built in the Scottish Baronial style, the Banff Springs Hotel has been called the Castle in the Rockies. Few other hotels in North America can rival its grandeur. Tucked in Alberta’s Banff National Park, the hotel was built between 1887 and 1888 and opened to the public that year. At the time, though, the hotel looked almost nothing like it does today. The original 1888 structure was clad in shingles with stone accents, and featured a dormers, turrets, and roof lines. The building, in a sense, was a $250,000 mistake; the builder goofed and changed the intended orientation of the building, turning its back on the mountain vista. A major overhaul in 1906 began with the construction of the Painter Tower, named after chief architect Walter Painter, which was the tallest building in Canada upon completion. The eleven story tower, made of concrete and stone, was filled with 300 guest rooms and flanked by two large wings that were added later. The renovations weren’t completed until 1928. 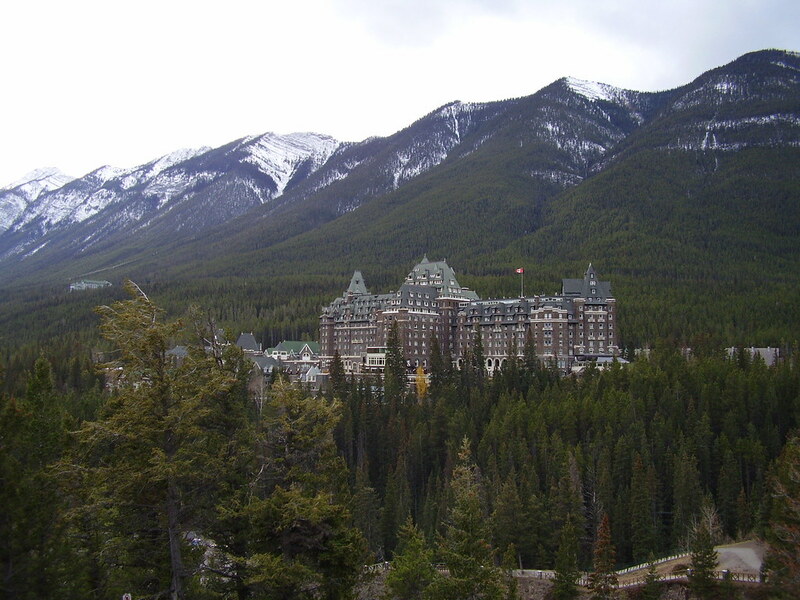 A UNESCO World Heritage site, the Banff Springs Hotel is currently operated and owned by Fairmont Hotels and Resorts. As it is within walking distance of Banff and, though it offers championship golf courses, the primary recreational attractions are winter-based, the hotel was weatherized in 1968 and has been open year-round ever since. The world renowned skiing continues to draw visitors, but the hotel’s grand spa is also a major attraction. Solace Spa offers separate dressing and shower areas, private massage rooms, whirlpools, and aromatherapy saunas. All of those amenities are complemented by waterfalls, a salt-water pool, and other fresh-water pools of various sizes and temperatures. This iconic Canadian railway hotel has long said to be haunted. Look for the grand staircase where a bride is said to have fallen and broken her neck on her wedding day in the 1920's. Hotel guests have reporting hearing noises in the bridal suite and seeing images of a flowing apparition in a wedding gown on the stairs.Sam McCauley worked as a bellman for many years and retired in 1967 from the grand hotel. According to legend Sam told his colleagues that he would return. Passing away a few years later, guests report being helped by a gentleman in a very old fashioned uniform when they are locked out of their room. Upon trying to tip him the helper disappears. A mysterious taxidermy man-beast of the seven seas. The ruins of the "20-year town" lay out among the mountains of Alberta. The only way to visit this old resort hotel is with scuba gear. A small and quirky museum hidden inside a fence. The world's first ice hotel is still one of the most elaborate and beautiful. From dragonfruit to mangoes to durian this Thailand resort allows guests to stay inside all manner of giant fruit. A Korean rock bassist's wild dream has become a reality at this completely insane boutique hotel. A unique opportunity to stay the night in retrofitted sections of sewer pipe.